Sadly we don’t have an actual photo of the real P-22. Gaze upon the majesty of this other mountain lion instead. The term “spirit animal” has a complicated lineage, and to see the spirit of your entire personality made manifest in a single creature is, let’s say, a rarity. But a new documentary hopes to unite a man and his actual spirit animal—for better or worse. P-22 is a mountain lion. Mountain lions are cool, right? You don’t spend that much time thinking about them, and neither do I, but like… cool. What makes P-22 a mountain lion worth putting on your 30 Under 30 Mountain Lions list is that P-22 is hunting the crème de la crème of Hollywood culture. And the odd koala. Let me explain. Griffith Park is a place in LA where all of the city likes to go for a nice mid-day hike. You’ve seen it in a dozen movies but also you haven’t seen it in a dozen more—as the actors retreat to walk off their carbs and get high. What few of them realize is that they are being hunted by nature’s perfect killer. What even fewer of them realize is that the city of Los Angeles made a strong choice to keep that murder monster stalking them in the Hills. Like you, I have so many questions about what lead to this. Back in 2011, somewhere in Malibu, there were a bunch of mountain lions. An alpha lion took control and a different lion ran to find a new place to live. Lesser Alpha ran across the 405 in the night and found himself stuck in a much smaller area. But as the only cougar in town, he made this homestead into a home. This area might not be the best place for a big cat to live, but it offers so much potential for survival. From the back of Hollywood restaurants, to the lawns of Hollywood’s upper crust, to the trails where folks from all walks of life try to burn off Five Guys, P-22’s world is built upon the fat of the land. That’s where Brendan Smith comes in. The 49-year-old comedian was the writer and producer behind four seasons of the TBS comedy My Boys and has spent 15 years being one of those Griffith Park hikers—thanks to his Australian cattle dog companion who needs the great outdoors. While traveling these dustry trails, Brendan became obsessed with the story of P-22. And that’s why Smith is now putting together a documentary that traces that parallel struggle, even if one side is the struggle to survive and the other side is more #struggle. And it is that straight-forward. 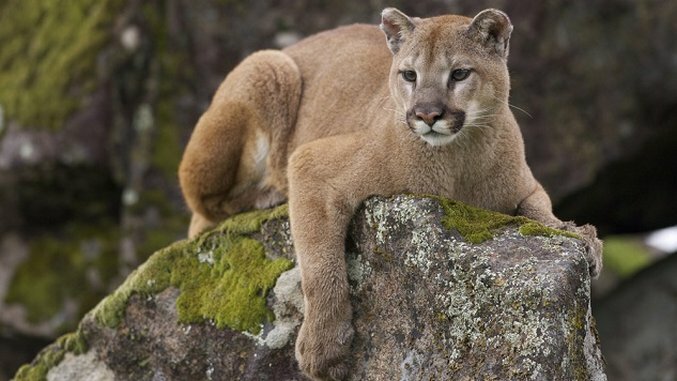 There is a fascination in watching a world too caught up in itself and what’s happening inside of phones existing just feet away from a natural life-and-death balance in the form of a cougar trying to reclaim territory from the modern world. Surprisingly, that modern world has had to work to save P-22 on several occasions now. A few years back, P-22 got mange from rat poisons someone in one of the fancy neighborhoods near the park was probably using on their backyard, which resulted in the cat getting visibly sick to a frightening degree. P-22’s first spotting came via cameras in the park, so when park rangers saw the much thinner and shaken P-22 in 2014, they moved in and tranquilized him. For a cat that wandered into the wrong park and wound up trapped there, you’d think the park service would use this chance to transport him back across the freeway. Instead, they gave him medication and stuck a tracking collar on him, preferring to let him resume his new Hollywood lifestyle. Now, you can watch him patrol the park cat route images published in the Los Angeles Times. He makes the 8-square mile trek every day, patrolling and hunting. Still. Sorry about that, Mr. Koala. The story of the park itself is even bizarrely complicated. Griffith J. Griffith donated the land where P-22 now lives after shooting his wife in a Santa Monica hotel. Smith thinks that an animated recreation of Griffith donating the park to reduce his prison sentence to only two years is an important part of explaining how Hollywood operates the way it does. Ah, the fertile comedic ground of turn-of-the-century wife murder attempts! In the words of LA Story: “LA is trying to help you.” Smith sees himself helping tell the story of a cat, and the cat will help tell the story of Brendan Smith. Here’s hoping that P-22 hasn’t headed for higher ground before the film comes out.